The Resource Center will move to the new Beit Chana facility when that building becomes available. Although less space will be designated for the Resource Center than it currently uses, the more central local of the new premises should be beneficial, Ms. Olshanitskaya said. 10. Olga Tovkach, the executive director of the Hillel student organization since 2008, greeted the writer in the group's new premises in the Menorah Center. Hillel occupies three activity rooms, the largest of which accommodates approximately 100 people. A second activity room seats about 30 individuals. 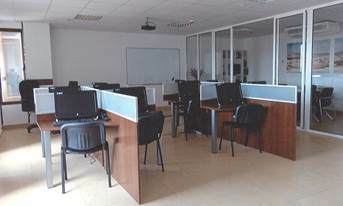 The third room is a computer facility with 12 workstations and a small conference room. Additionally, the Hillel suite includes several offices. About 300 students and young adults participate in Hillel every month, a significant increase from the 100 to 200 who came to Hillel each month in 2012-2013, said Ms. Tovkach. The program includes weekly Hebrew classes (free to participants, paid for by the Israel Culture Center), English classes (fee-based), Torah portion discussions, dance classes, and other activities. A group for young families usually draws about 30 people, Ms. Tovkach said; these individuals are interested in learning and practicing Judaism, but in a non-Orthodox manner. Hillel also organized a "Pesach university" that attracted about 40 people eager to learn about the holiday and the seder ritual). It held a second-night seder in a restaurant for Hillel members and young families. 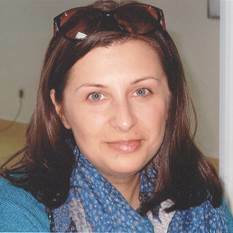 Olga Tovkach has revived a long-substandard Hillel in Dnipropetrovsk since assuming the position of director in 2008. Dnipropetrovsk Hillel sent 80 young people on Taglit (birthright Israel) tours during the past year, 20 in winter and 60 in summer, said Ms. Tovkach. In April, Hillel organized a Shabbaton for 50 Dnipropetrovsk Taglit veterans, she continued. Hillel encourages Taglit returnees to enroll in the longer MASA program, Ms. Tovkach stated, often collaborating with the Israel Culture Center in helping Hillel members select the MASA program that is appropriate for them. The usual Week of Good Deeds, somewhat subdued this year because of Russian-Ukrainian tension, was held at the end of February. No large events were scheduled, said Ms. Tovkach. The focus was on collaborative work with young people from another large ethnic group, Armenians, in events for children with disabilities and for children in institutional care. Hillel and Armenian students also created a Children's Health Festival, adapting various games to health themes. Additionally, the Hillel-Armenian group used the mechanism of traditionally-popular intellectual games to teach youngsters about traditions of various ethnic groups. The information technology program is new this year and is based on the IT program established by Odesa Hillel in 2013. The 12 workstations and necessary furnishings were purchased with funds contributed by the same Baltimore donor whose generosity enabled the founding of the Odesa project. Courses are offered in web design advanced computer languages, networking, and other IT skills; all are fee-based, although the charges are lower than in comparable commercial programs. Nonetheless, said Ms. Tovkach, even the discounted fees are a barrier to the enroll-ment of some potential students. In addition to the technology skills, the Hillel IT center offers placement assistance to its graduates, an unusual service in Ukraine. Ms. Tovkach noted that many IT vacan-cies exist in Dnipropetrovsk. A portion of the Dnipropetrovsk Hillel IT facility, located in the Menorah Center, is shown at left. Note the glass-doored conference room on the right side. In addition to the advanced IT classes offered to students, the Hillel IT center teaches basic IT skills to elderly Jews participating in the JDC hesed program in the Menorah Center. The older learners commute by elevator to Hillel, where they are taught in one of two hesed classes by a volunteer teacher, said Ms. Tovkach. Ms. Tovkach commented that the major interest of the hesed students is mastering email so that they are able to communicate with family members who have moved abroad. A local Hillel Board has been created, Ms. Tovkach stated, with 11 members, most of them past Hillel activists. Ranging in age from 26 to 35, they have each agreed to contribute $100 monthly to Dnipropetrovsk Hillel. Some also donate goods and services, such as office supplies or special-event premises to which they have access. Sometimes, Ms. Tovkach noted, Hillel students attend the monthly evening Board meetings to request funding for specific program ideas. In common with other organization directors, Ms. Tovkach observed that fundraising is very difficult in current conditions of political and economic instability. 11. Initiated as a means of enhancing the Jewish identification of halachically Jewish students and young adults, a program entitled STARS (Student Torah Alliance for Russian Speakers) was launched in 2006. Funded by Eli Horin of Brazil and oligarch Lev Leviev, participants were awarded a stipend for attending gender-segregated classes in Jewish tradition and practice taught according to Orthodox philosophy. Certain coeducational events were held in connection with Jewish holidays, thus enabling halachically Jewish young men and women to meet and, hopefully, later marry and raise Jewish families. Early reports indicated strong success, but several problems emerged within a short time and now are acknowledged by most of those involved in operating the program. First, it quickly became obvious that the interest of many participants focused more on pocketing the stipends than on absorbing Jewish tradition. As soon as stipends were distributed, students disappeared. 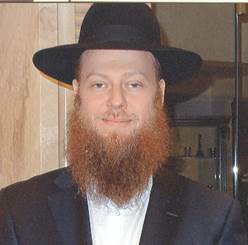 Many graduates of the program declined any further involvement with Chabad. Second, class syllabi were prepared to appeal to high-achieving university students, but a large number of enrollees were low-achieving young adults in vocational training programs, low-paying jobs, or unemployed. Some participants had psychological or emotional issues and were disruptive in class. Third, many of the more capable students were aggravated by the others and refused to join with them in studies or socializing. Fourth, given the high rate of intermarriage in Ukraine - thought by many to be 80 percent or more - the pool of halachically Jewish young people is small and is diminishing with each passing year. In response to these problems, Chabad in Dnipropetrovsk developed new STARS versions for halachically Jewish young people with above-average intellectual capacity and ambitious career plans. It created a special program for aspiring businessmen in which students meet regularly with successful business people. Yet another version attempts to engage young people from lower-class backgrounds. Several women's groups meet separately. Payment of stipends to all groups is conditioned on the satisfactory completion of examinations based on STARS course material. Iosif Masakovsky, who directs the STARS program in Dnipropetrovsk, stated that STARS continues to search for different approaches that will appeal to different groups of young people. However, he continued, these efforts are seriously impeded by the ongoing financial crisis, which has led to a reduction in funds for instructor salaries, participant stipends, food, entertainment at events, travel, and other program components. He also would like to purchase additional furniture to complement the green chairs in STARS premises in the Menorah Center, but that is impossible now. Iosif Masakovsky, a former computer technology in-structor, directs the STARS program in Dnipropetrovsk. He is largely self-taught in Judaism. In partial acknowledgment that many Jewish young adults were decidedly cool to formal Jewish education programs, Chabad has created a youth club (молодежный клуб) called See the Light that attempts to reach young people through informal Jewish education. See the Light, he said, has many social activities and also tries to train Jewish young adults to be madrichim (leaders) for their peers and somewhat younger participants. 12. Elisha Pavlotsky manages the See the Light program, a Chabad venture designed for Jewish young adults. A Dnipropetrovsk native, he said that the program started there in 2012 and in Kyiv in 2013. So far, he said, 20 See the Light clubs exist in Ukraine, one in Russia (Rostov-on-Don), and one in Vienna. They are beginning to organize in New York, said Mr. Pavlotsky, and intend to unite all Russian-speaking halachically-Jewish youth throughout the world through See the Light clubs. The clubs, which are managed by a part-time director in each city, focus on the performance of a single designated mitzvah (Heb., a commandment or moral duty) each month. The particular mitzvah is one designated by the last Lubavitcher Rebbe, Rabbi Menachem Mendel Schneerson, as especially important. A financial prize is awarded for the best performance of this mitzvah. Additionally, See the Light sponsors social events at all appropriate Jewish holidays; although the events are primarily social in nature, some informal Jewish education also is on the agenda. See the Light also organizes informal three-day seminars with Jewish content for young adults, and plans to operate a two-week summer camp for adolescents between the ages of 12 and 16; See the Light activists are trained as madrichim (leaders/counselors) for this camp. Eventually, said Mr. Pavlotsky, they would like to establish See the Light clubs in both Chabad and public high schools in many different countries. Elisha Pavlotsky has grand ambitions for a worldwide youth club movement uniting Russian-speaking halachically Jewish young people. Most programs operated by See the Light are free of charge to participants, even the overnight seminars, Mr. Pavlotsky said. Young people are attracted to these events by the distribution of free gifts, such as i-Pads, notebook computers, and other electronic goods. In response to a question, Mr. Pavlotsky said that See the Light has a contact list of 600 Jewish young people in Dnipropetrovsk. However, he acknowledged, only about 20 of these individuals are active in the group. He noted that See the Light imposes no conditions on participants that they become religiously observant, although creators and funders of See the Light hope that the informal education nature of the program will encourage young people to adopt a Jewish way of life. He remarked that three religious weddings had already taken place among activists. 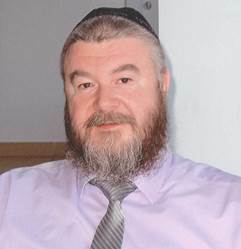 In a later interview, Rabbi Shmuel Kaminezki stated that current financial stress has precluded the establishment of a stable financial base for the See the Light program. They actually use pushkas (contribution boxes) to collect funds for it, he said. 13. The Beit Chana International Humanitarian-Pedagogical Institute was established as the Beit Chana Jewish Women's Pedagogical Institute in 1955 to prepare teachers and childcare workers for Chabad-sponsored preschools and elementary schools throughout the post-Soviet states. Initially, it recruited its all-female student enrollment mainly from smaller cities and towns, assuming that Jewish young women in such locales would be eager to escape their often stifling small town environments for associate degree-equivalent programs in a larger city. Beit Chana offered free tuition and free room and board in return for a commitment to teach in Chabad schools upon graduation. Over time, the institution was forced to confront the consequences of lower educational achievement of girls from such circumstances, as well as demographic developments that sharply reduced the number of Jewish young women in smaller towns, regardless of their capacity to complete post-secondary education programs. Further, notwithstanding their enthusiasm for relocation to a larger city, many young women were reluctant to commit to residence in an isolated gender-segregated dormitory with a religious lifestyle for the duration of their course of study. Additionally, many young women were not interest in pursuing pedagogical careers. Beit Chana never reached its capacity enrollment of between 200 and 250 young women. It achieved its peak of 165 students some years ago, and its 2008-2009 enrollment plummeted to 70. Acknowledging that the institution was unlikely to survive without a “new vision,” Beit Chana made several changes in its curriculum and operational procedures in recent years and intends to evolve further in the future. First, it earned accreditation to award full baccalaureate degrees, thus enhancing its appeal. It now confers associate degrees in pre-school and early elementary education as well as full bachelor's degrees in these subjects, practical psychology, and business management. Some subjects are taught in the form of intensive seminars led by visiting Israeli specialists. The baccalaureate programs in education include a component at Orot College in Israel. Employment in Chabad institutions is guaranteed to all graduates. Second, it scrapped its residential requirement, opening all programs to day/commuter female students from Dnipropetrovsk and environs. See pages 28 for information about the new Beit Chana building. See pages 61-62 for information about the Israel Culture Center. For information about the Odesa Hillel IT program, see the writer's most recent previous report Observations on Jewish Community Life in Ukraine - Report of a Visit in April 2013, page 11. ORT also has opened an IT-education program in the Menorah Center. See pages 29-30. Whereas the Hillel program targets students, the ORT program is open to a broader age range. See pages 26-27 for the remainder of the interview with Rabbi Kaminezki. See also pages 56-67 for an interview with Rabbi Moshe Weber in which he discusses a See the Light Pesach seminar. Beit Chana intends to add undergraduate degrees in web design and foreign languages (Hebrew and English) in the near future.